You are currently browsing the archive for the October 2018 category. The Rev. Samuel G. Craig is noted as the founder of the Presbyterian & Reformed Publishing Company, known to us today simply as P&R. He had served as assistant editor and then as editor of the Philadelphia based magazine The Presbyterian. When ousted from that post, he founded P&R, with Dr. J. Gresham Machen providing a portion of the needed start-up capital. There should be much intercessory prayer, or prayer for others. Those who are Christians should pray for all classes and conditions of men. They should pray for the heathen, that they may be evangelized; for the wicked and criminal, that they may be led to turn from the evil of their ways; for the unconverted, that they may be turned to know and accept Christ as their Saviour; for the sick, that they may have the healing grace of God; for the sorrowing, that they may be comforted; for the aged, that they may have the sense of God’s presence; for the children and the young people, that they may become the true children of God. But it occurred to Paul, inspired by the Holy Spirit, that he ought to pray for Christian people. He tells the converted followers of Christ at Colossae that he had been praying for them always since he “heard of their faith in Christ Jesus and their love to all the saints.” It would seem to some persons that these Christian people did not need to be prayed for, since they had given their hearts to Christ and were living so consistently and truly. It would seem that prayers had been answered for them since they had been brought into the kingdom and were obviously among the saved. But Paul thought differently. He was not ready to take their names off his praying list. He was intending to go on praying for them. He told them that he was praying for them, and he told them what it was that he was praying for in their behalf. He said he was asking that they might “walk worthy of the Lord unto all pleasing, being fruitful in every good work, and increasing in the knowledge of God, strengthened with all might, according to his glorious power, unto all patience and long-suffering with joyfulness.” This was a beautiful program. It was a rich and abundant budget of blessing. With a heart of love for them, and desiring that they might become greatly useful in Christ’s service, he prayed for them that they might go on from grace to grace, and from strength to strength. It is not enough that souls shall be converted. That is the very point, at which arriving, they should go on increasing in Christian knowledge and Christian usefulness. It is not enough that a human babe should be born. It is at the time of birth a most helpless and dependent being. It must be nourished and nurtured, for weeks and months and years, before it can walk and talk, and be capable of physical support, and it must be instructed intellectually and morally, if it comes to its full estate. So, in a corresponding manner, must one who is born again, a spiritual babe in Christ, be nurtured and cared for, strengthened and instructed, if it comes into the useful and capable life to which God’s children should attain. It is then most important that those who have just been converted shall have the most loving and nurturing care of Christian friends, who will pray for and with them, and help to lead them into the strong and Spirit-filled and well-informed life which Paul prayed might be the portion of the Colossian Christians. It seems sadly evident, from the large number of members of our churches, placed, every year, on the awful retired, suspended rolls, that in some way there failed to be the proper, prayerful care for many who have been added to the church. A time which we call a “revival time” is often an occasion of great joy to Christian people, when they see many of those for whom they have been solicitous added to the membership of the church on confession of faith. It seems to these friends that prayers have been answered. They cease to watch and pray for these young converts. They take their names from their prayer lists. They cease to be intercessory for them. They do not continue to pray for them. But the world does not cease its sinful attractions. The remnants of the sinful nature in the hearts of those young converts do not at once die out. These young Christians need to be cared for, trained, watched over, set to work, and, especially, to be prayed for with all loving zeal. We have often thought that this Book of Colossians might well be the text-book in every church and every pulpit, after every revival, every communion, and every conversion. It is a great occasion when a child is born into a home. But it is the beginning of care that must and will know no intermitting through all the years of that child’s infancy and adolescence. It is a great occasion when any person is converted and added to a church. But it ought to be the very beginning of great care and great prayer for him on the part of pastors, elders, and all the Christian people. If the whole church put into active spiritual practice the life and lessons taught by Paul in the Epistle to the Colossians, as to the care of young converts and, indeed, of all Christians, there would cease to be a large part of the sorrow and shame that are called for by the Suspended Rolls. Readers of this historical devotional may remember that there was a schism in American Presbyterianism in 1741 between what was called the New Side and the Old Side Presbyterians. With such bright ministers as Gilbert Tennent, Samuel Blair, George Whitefield, Samuel Davies, to mention a few, we might suppose that evangelistic activities only was found among the New Side Presbyterians. But this would be a wrong conclusion. Consider the ministry of Rev. Alexander McDowell. Ordained on October 29, 1741, the very year of the schism, Alexander McDowell was sent by the Old Side Presbytery of New Castle, to Virginia as an evangelist that same year. He was eminently qualified for this missionary effort. Born in Ireland and educated at the University of Edinburgh, he came to the American colonies in 1737. 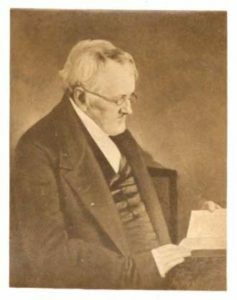 Following his evangelistic tour, he took the pulpit of two Old Side Presbyterian congregations in Elk Church, Lewisville, Pennsylvania and White Clay Creek Church in Newark, Delaware. Remaining in them for seventeen years, he was said to be a man of more than ordinary mental abilities, an excellent scholar, and a laborious educator. He was faithful to the higher courts of Presbytery and Synod. What we might call para-church activities today, he earnestly sought to raise financial support for the widows of ministers. He even served as a chaplain during the French and Indian War. Following his faithful ministry as a pastor, he took over the education responsibilities of the Rev. Francis Allison in his free classical school. When Rev. McDowell oversaw its pupils, it was known at the Newark Academy. Teaching Latin, Greek, Hebrew, and Philosophy, he sought to train the students under his care. This institution went through several changes of names, until it became the University of Delaware in 1921. Words to live by: That which produced the First Great Awakening in our land is often lauded, and it should be. But there were those who objected to the emotionalism displayed in those services. They should not be labeled as liberals in any sense of the word. We are dealing here with different methods of doing God’s work. There can be as much of God’s Spirit advancing the kingdom of grace with men like Alexander McDowell as there was with a Rev. 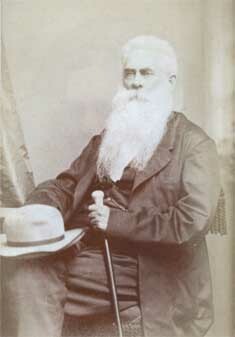 Gilbert Tennent. As long as the gospel is proclaimed faithfully, and God’s Word is upheld strongly, let us pray for the advance of the dominion of grace in the hearts of men and women. A. In the fourth petition (which is, “Give us this day our daily bread”) we pray, That of God’s free gift we may receive a competent portion of the good things of this life, and enjoy His blessing with them. Scripture References: Matt. 6:11; Prov. 30:8-9; Gen. 28:20; I Tim. 4:4-5. 1. How can we best interpret the word “bread” in this question? 2. Why should we take note of the word “give” in this question? The Lord had good reason for using the word “give” here. This is to remind us that these things are gifts from above. Too many times we take for granted the needs that are supplied for us by Him. We should remember He delights in giving and be thankful! 3. Is it possible that the Lord is speaking here of spiritual blessings as well as the good things of this life? It would seem that the Lord here means simply the good things of this life. The Lord’s Prayer is complete and this is the portion that has to do with the temporal things while the spiritual things are covered in other petitions. 4. Is it necessary for us to pray daily for these good things? Yes, it is necessary because He taught us to do so. In addition, we are taught by Him to give a day at a time (Matt. 6:34). 5. What can we learn from the words “our bread” in this question? We can learn that it is ours only in that we have labored for it, all to the glory of God. If we have obtained “our bread” through false means it is not really ours in the sight of God. 6. Could you comment on the word “us” in this question? It is interesting to note the word “us” is used. Here we have the opportunity of making known our wishes to the Lord to include our fellowmen in our prayer. We are urged in the Word of God to constantly pray for our neighbors and to love them. William Hendrickson points out here, “The satisfaction of a material need must not be construed as being either the real reason for or the measure of my joy. On the contrary, regardless of outward circumstances, I would still be satisfied. My conversion-experience, and also my subsequent trials for the sake of Christ and His gospel, have taught me a lesson. The path which I traveled led me ever closer to Christ, to His love, and to His power, yes to Christ and contentment in Him. That very contentment is riches to me.” (A Commentary on the Epistle to the Philippians). It is a good commentary on Phil. 4:11 and equally as good on the fourth petition of the Lord’s Prayer. May God help us to learn to pray for “our daily bread” and mean by it that we are content with what we have. We must always remember that we have far more than we deserve and God is perfectly capable of giving us far less than we have! We should be blessing God for our daily bread, realizing He knows what is best for us. It is a lesson we need to learn, all to His glory. (2) Was so much better off than before. Some of our readers may be acquainted with the St Bartholomew’s Day Massacre in France when Romanism decided to rid their nation of the Huguenots, or French Calvinists in the land. Well, did you know that a similar massacre occurred in Ulster, or Northern Ireland in the mid seventeen hundreds? The atrocities were so horrible during this massacre that some historians try to downplay the whole scene. It was to them purely a nationalistic issue in that the Irish wished to reclaim their ancient lands from the Scotchmen who had occupied them. Yet Sir Phelim O’Neill, one of the leaders of this movement, stated that he would never leave off the work he had begun until Mass should be sung and said in every church in Ireland, and that a Protestant should not live in Ireland, be he of what nation he would. Certain elements of the Roman Catholic clergy recommended that a general massacre was the safest and most effectual method of putting down the Protestant ascendancy. Immediate entrance into heaven, without stopping in purgatory, was promised to the assailants. And so on this day, October 23, 1641, the initial outbreak of this cruel rebellion took place. It would not end fully until eleven years had passed. This author does not wish to describe in detail the atrocities which transpired upon Protestant men, women, and children. After all, these posts are devotionals. Yet certainly the events of those days rival and even surpass the terrible times of the early church under persecution, as described in Hebrews 11:32-40. Thousands of Irish Presbyterians, along with their pastors, were slaughtered by their Roman Catholic neighbors. The mass killings were stopped by the arrival of Major General Munro and ten thousand Scottish troops, who arrived in February of 1642. Partial order was restored, even though it was the beginnings of a decade of war in the land. This author will never forget the words of the Christian woman in the hospital bed that afternoon. A fellow PCA pastor had asked me to visit her in the Harrisburg, Pennsylvania hospital as she was facing a serious illness. So I went to see this stranger and we talked of her life and testimony in my ministerial friend’s church. She assured me that she was not afraid to die, as her hope in Christ was a strong conviction in her life. But then she said that she wasn’t so confident of the means to arrive in heaven for her. And I acknowledged that this was the feelings of any Christian man or woman. We know heaven is waiting for us because of our firm faith in the Son of God as personal Lord and Savior. But the means of leaving this earth and gaining eternal life might be a scary proposition. One Christian gentleman named Archibald Alexander showed by his comments in 1851 that this was true. Dr. Alexander was the first professor of Princeton Theological Seminary, in Princeton, New Jersey, after a lifetime of ministry as a pastor, college president, and scholar. Other professors were to join him, and indeed his long ministry to this Presbyterian Seminary came to an end in 1851. Both of your authors to this website have written on him in those active years in other posts. (See here) But I would like of focus on his thoughts and words as he realized the nearness to his departure from, this earth. His transition to heaven took place on this day, October 22. 1851. Surely these thoughts and words should give each Christian reader much comfort as we confront our departure from this earth in His timing. In this author’s case, I am in my late seventies on this earth. Yet, as Dr Alexander acknowledged that while the transition from this world would be certainly awful, praise God, it is guarded by Christ who does all things well. He is around the dying beds of God’s people! And with that, we can rest assured in Christ Jesus, our Lord and Savior, in both life and death. Lastly, a small advertisement, if you will. We recently mentioned the Log College Press, and have learned they have a forthcoming publication, very timely in view of our post today. 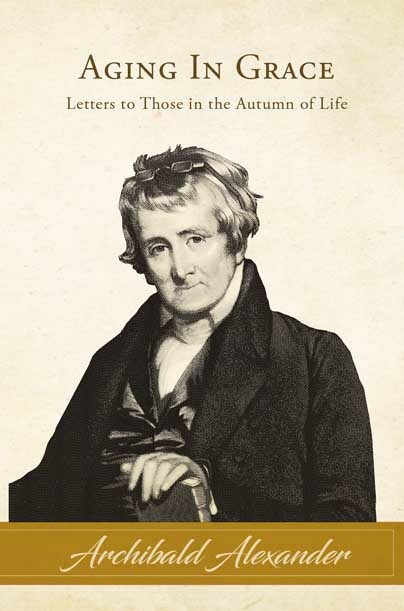 Aging In Grace: Letters to Those in the Autumn of Life, by Archibald Alexander, looks to be a great resource and one worth your consideration. To order, or to find out more, click here. 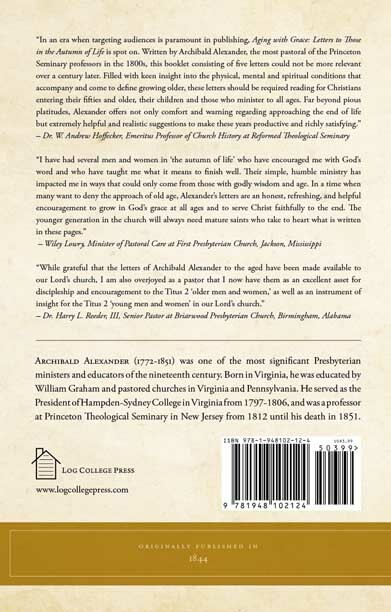 For more on Dr. Alexander, including the transcription of his sermon on our Lord’s incarnation, see the post at Presbyterians of the Past.